Home / FAQs / Do I Need a SSD Attorney? 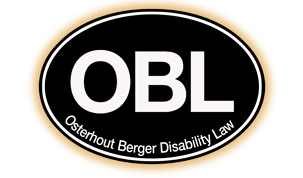 Osterhout Berger Disability Law provides experienced representation in Social Security Disability law. Our firm practices only Disability law. We have handled more than 30,000 claims over the course of two decades, and we want to help you. For a free consultation with a SSD lawyer, call Osterhout Berger Disability Law, at 412-794-8003 (locally in the Pittsburgh area) or toll free at 1-866-438-8773 (outside the Pittsburgh calling area). Do I Need an Attorney for My SSD, SSI or SSDI Claim? Strictly speaking, you do not need an attorney. The procedures followed in Social Security Disability hearings and the general issues in these cases are not impossible to understand. As recently as 1980, attorneys were involved in only 20 to 30 percent of the hearings. However, beginning in the early 1980s there were a number of changes in the law that added to its complexity, and those changes (in the form of changes to the Social Security Act, Regulations and Social Security Rulings) continue to this day. Claimants who are not represented at their hearing before the administrative law judge (ALJ) are denied twice as often as those who are represented. Find out more about what we can do to win your case, and things you can do to help. For a free confidential consultation to discuss your disability and options for seeking benefits, please call 412-794-8003 (locally in the Pittsburgh area) or toll free at 1-866-438-8773 (outside the Pittsburgh calling area). If you prefer, you can fill out our intake form, and an experienced lawyer will contact you to schedule an appointment.